This post is dedicated to all those who were once fundamentalists and are fundamentalists no more. I post here extracts from testimonies of a number of people who have described the changes in their lives since they left fundamentalism behind. I initially thought I’d dedicate it to those informed lay and erudite scholars who contemptuously snort at anyone who had, let’s say, an ultra-conservative, somewhat extreme religious past and who currently has come to entertain questions about the historicity of Jesus. But are such persons really worth a dedication? Once a fundie, always a fundie. That’s their claim. They mean by it that a person who once was mixed up with a religious fundamentalist type of past will, on leaving that past, inevitably switch to some other cause with all the fundamentalist pig-headedness and fervour that characterized their former religious commitment. It’s a vacuous slogan, of course. It’s nothing but a cheap way to dismiss someone holding a view or asking questions they have no time for. The truth is that people do indeed change. The number of books that have been published about leaving a sect, cult or fundamentalist religion of one kind or another surely number into the hundreds. Right now I’m sure most people browsing through any sizable general bookstore in the English speaking world will scarcely be able to avoid seeing at least one work about someone having left behind the confines of a rigid Muslim past. Anyone who has recently left or is in the process of leaving a Christian-influenced cult or religion will soon become aware of dozens of helpful titles. Bibliographies on the web abound. Some of my favourite and most helpful authors were Steven Hassan, Edmund Cohen, Marlene Winell. These names alone belie the trite slogan. They are all fundies who have done much to help others leave behind and rebuild lives after the fundamentalist experience. Many readers here know of Dr Robert M. Price’s fundamentalist background, current very liberal “Christianity” and of his books such as The Reason Driven Life. In a future post I should explain what experience and research shows about why people join these religious outfits. There are gross misconceptions about that, and about the sorts of people who do join and endure in them for any length of time. Both Tim and I have written about our own changes in outlook since we each left our respective religious coffins. Links to them can be found in the Vridar authors’ profiles. I have since written an update to try to dispel some ignorant nonsense being written about me on Hoffmann’s blog. Hoffmann point-blank refused to let it be posted there as a correction to what he and others were saying. Perhaps such people think anything coming from me cannot be trusted. So here for the sake of the record I want to bring to everyone’s attention the testimonies of thirteen others who have also left fundamentalism behind never to return . . . . 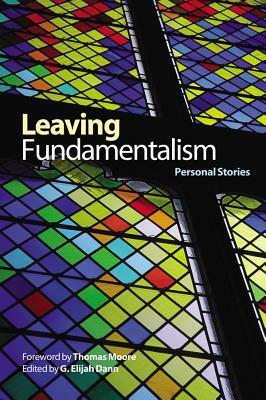 The extracts come from a book available online (or at least via Kindle), Leaving Fundamentalism: Personal Stories, edited by G. Elijah Dann. Read them and know just how far ex-fundamentalists do indeed leave behind their former mind-sets. (Bolded emphasis is mine.) I know, I can’t resist my own comments throughout, either, sorry.